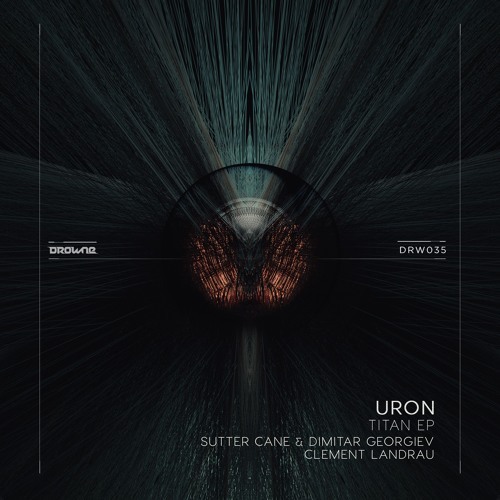 We are happy to present the colombian techno-advocates John V and Uron, who teamed up to unleash the Titan EP on the austrian techno label Drowne Records! The main ­ characteristics of this release can be described as raw and repetitive underground techno which always keeps an eye on the dancefloor. Kickin' off the EP, 'Febe' comes along as an intro tool and emerges out of the depths with ethereal choirs whispering in the dark. Didgeridoo-like pads are gently interwoven and fight for dominance, while chirping percussions sparkle all over the soundscapes! Follow-up and likewise titletrack 'Titan' starts ruthless and the rumbling bassline sets the course to another stomper! Repetitive, acid-bathed bleeps sneak on the scene and point out the tracks hypnotic suction. Filtered shakers rattle along, before sharp offbeat hihats and jackin' claps tighten the groove-structure! For the first remix the austrian techno-flagship Sutter Cane teamed up with Dimitar Georgiev and put hands on 'Titan'. The rework attends with punchy bassdrums and lush offbeat-hihats layered over a rattling top-structure while the repetitive bleep-workout, known from the original, creates the right amount of tension! The uprising frenchman Clement Landrau who is known for his hypnotic and melancholic productions joined forces and restructured the titletrack twice! The regular rewritten version takes off with bulbous kickdrums and a brooding atmosphere followed by filtered hihats. The claustrophobic, transformed synth which appears on the scene captures 'Titan's confronting mood perfect and prefaces the break, where the game changes! The abstract rewritten version focuses itself on re-creating the mood and is great track to keep the floor boiling whilst getting down the pressure! The floating pad which is backed up by bizarre textures forms a dystopian melody and sets a basis for the atmosphere the rework circles around. The synth, known from the original shoves itself back and forth and a breakbeat structure concretes the direction once and for all! Finally the 'Titan EP' comes along as a quite aggressive release and represents the artists and the labels love for pure underground techno. I reaches from glistening soundscapes to filthy and forward orientated techno, without forgetting to leave space for sound experimentations!